A staple of American cuisine will finally be available to troops in the field after a year of uncertainty. The pizza Meal, Ready-to-Eat is currently being produced by vendors and will likely be available to soldiers sometime in the next year for consumption in the field, according to the Army. Additionally, the chocolate Performance Readiness Bar is now available at all Army basic training locations. The bar, as part of a pilot program, had previously been available to Army basic trainees in some select locations. The bar is fortified with calcium an vitamin D in the hope of reducing stress fractures by increasing trainees’ bone density. 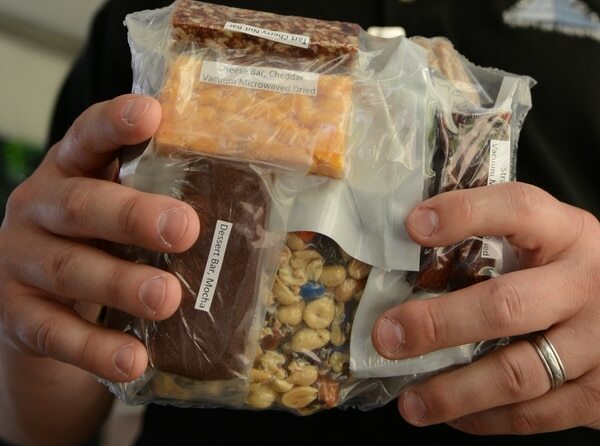 A new Close Combat Assault Ration is also under development, according to the Army. The items in the new ration include New York-style cheesecake, vacuum-packed fruits and vegetables and Monterey Jack cheese. Pizza, one of the most common and popular food items in the United States, has been requested by soldiers for more than thirty years, according to Stephen Moody, director of the Combat Feeding Directorate at the Natick Soldier Research, Development and Engineering Center in Massachusetts. 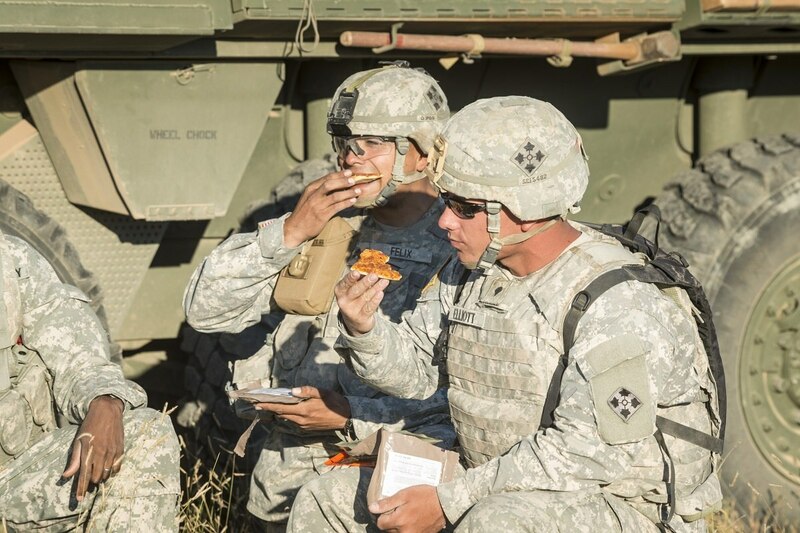 According to the Combat Feeding Directorate, the MRE will include pepperoni pizza, but topping varieties could be introduced in the future after hearing troop feedback on the new product. The Combat Feeding Directorate has been working on the production and implementation of the pizza MRE since 2012, and that research and work seems to be coming to a conclusion. According to the Army, the pizza MRE will be available in some locations by the end of the calendar year but will likely be available to most soldiers by the end of next year. When and where the pizza is available will depend upon existing stocks of MREs at each location. In March 2017, the Combat Feeding Directorate announced that the release of the pizza MRE was being delayed indefinitely due to problems that surfaced in the mass production of the food item. 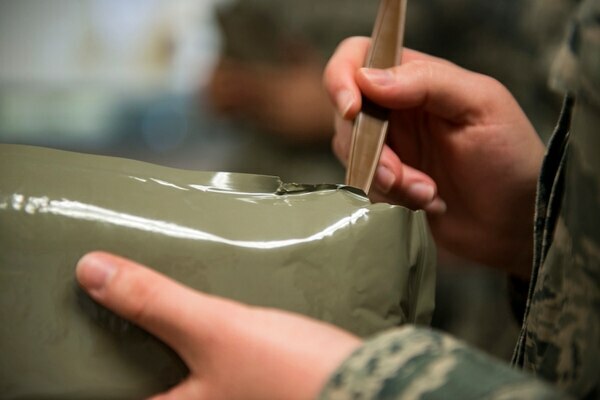 All MREs need to have a shelf life of at least three years when stored at 80 degrees or below in order to be viable as an option, according to the Natick Soldier Research, Development and Engineering Center. However, when the pizza MREs were being tested under this requirement, the pizza was turning brown. MREs are placed in a 100-degree box for six months during testing in order to simulate the three-year life span at under 80 degrees. The mass produced pizzas were turning brown under the testing, a problem that had not surfaced during the initial testing of the lab-made pizzas. The browning was not a safety issue, but more of a quality issue. “We want to make sure we give [troops] a quality product,” Natick spokesman David Accetta told Army Times in February. Officials later found a fix for the browning — rosemary extract. MREs were introduced in the early 1980s as a replacement for the C-ration, according to the Army. Since 1993, more than 270 new items have been added to the rations, along with the flameless ration heater and ergonomic beverage pouches. Each MRE provides about 1,260 calories, and its durable packaging allows it to be safely airdropped by parachute from 100 feet.